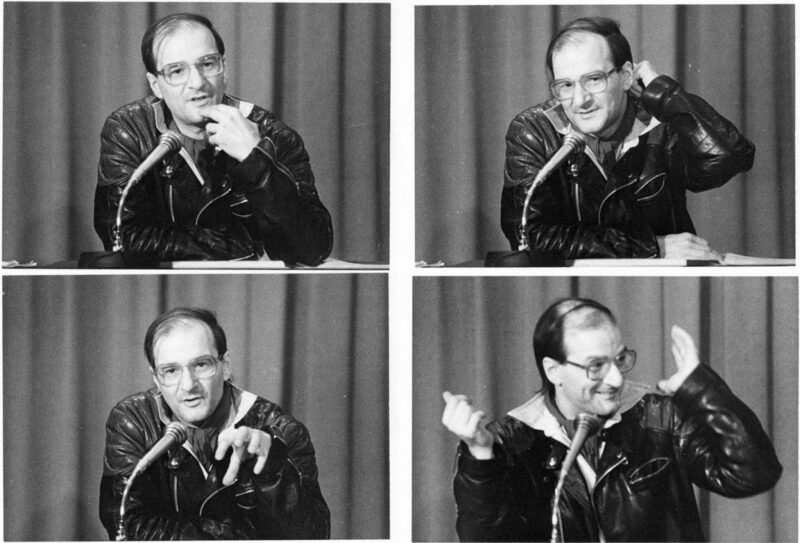 The music of the Canadian composer Claude Vivier (1948-1983) combines diverse influences–from the the cerebral constructions of the European avant-garde to exoticist borrowings from East Asia– into a haunting and inimitable artistic voice. Vivier’s intense and colorful music mirrors his life as an eccentric and bon vivant who met a tragic death at the age of 34. The Arcana New Music Ensemble will present a selection of this rarely performed music, ranging from the shatteringly virtuosic piano work Shiraz to the ritualistic intonations of Et je reverrai cette ville étrange (“And I will see this strange city again”), which is based, like much of his music, on the unfolding elaboration of a single melodic line. In the fall of 1976, Vivier took a long trip through Asia. A visit to Bali caused him to reevaluate his ideas concerning the role of the artist in society, initiating a new period in his stylistic evolution. In the wake of this journey he wrote Shiraz (1977) for piano, Orion (1979) for orchestra, and his opera Kopernikus (1978–79). Above all, it was in his cycle of pieces for voice and instrumental ensemble, particularly Lonely Child (1980) and Prologue pour un Marco Polo (1981) that Vivier’s unique style crystallized. In a New York Times profile, Paul Griffiths observed, “The harmonic auras are suddenly more complex, and the fantastic orchestration is unlike anything in Vivier’s earlier music, or anyone else’s. Perhaps he found it by listening intently to bells and gongs, for the huge chords that march along—around—the voice commonly have deep fundamentals with a fizz of interfering higher tones, rather like metallic resonances.” During this period, Vivier began to create texts in an invented language, mirroring the singularity of his musical idiom.